Chutnify, Berlin´s most well-known Indian restaurant, shared with us its famous tandoori recipe. Whisk together the Tandoori spice mix, oil, yoghurt, garlic, ginger, lemon juice and salt. 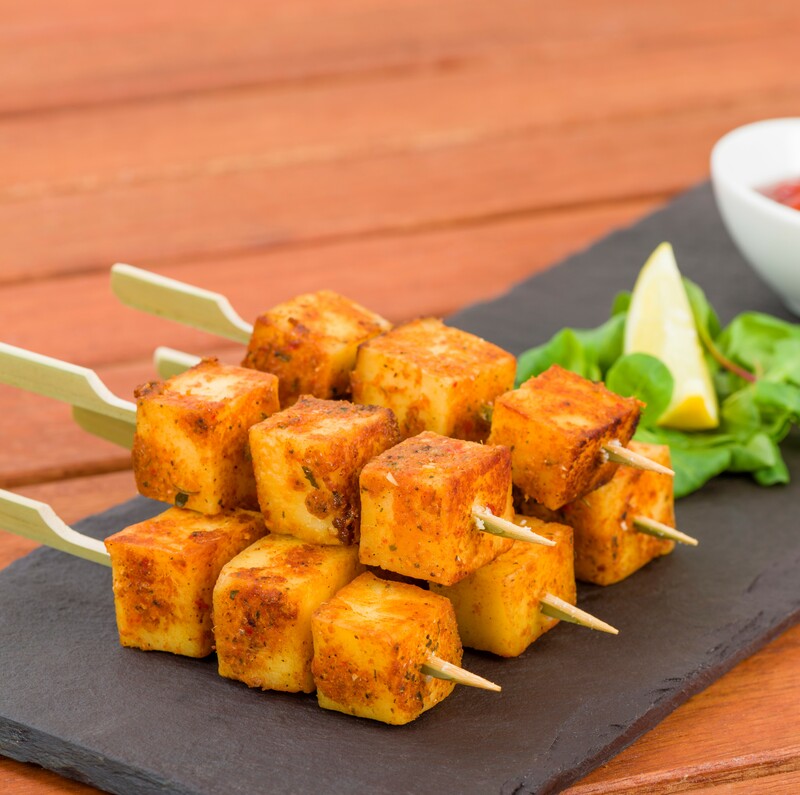 Rub into the paneer cubes and marinate for at least 4 hours, or ideally overnight, in the refrigerator. then arrange the paneer cubes in a single layer. Bake for about 15 minutes, turning the cubes once or twice. Serve with lemon slices, salad and naan bread.